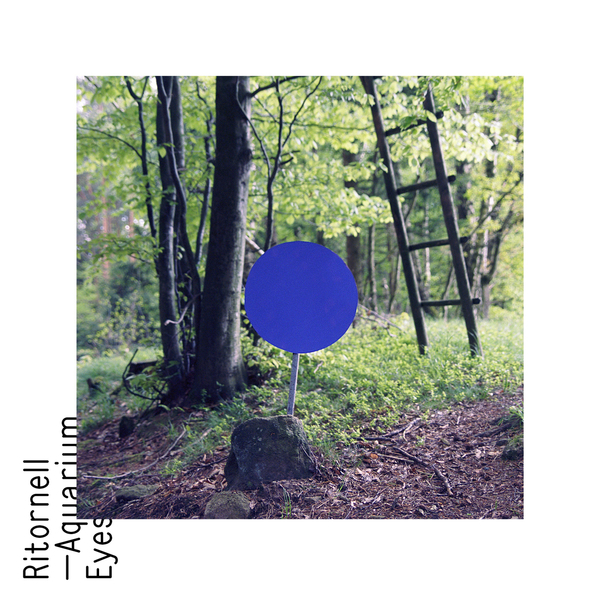 "Aquarium Eyes is the second album by the Austrian duo, Ritornell. Their debut, Golden Solitude, was released in 2009 on Karaoke Kalk. Acoustic and electronic sounds merge on Aquarium Eyes. Paying great attention to detail, Ritornell recorded at various locations (the studio of Patrick Pulsinger being one of them). The results are gently woven into their very own world of sound. Defamiliarized by subtle electronic manipulation, instruments such as piano, double bass, vibraphone, kalimba, and accordion develop a surprising life of their own, only to be consequently swallowed up by the hissing and buzzing of electronic devices. Gleaming multi-layered electro-acoustic drones, isolated organic sounds, and sophisticated textures complete the intricate arrangements. On Aquarium Eyes, Ritornell tackle the art of songwriting for the first time: Vienna based vocalist Mimu sings, whispers, and sighs golden threads through some of the fragile sound structures that Gerold and Eigner assembled with intuition. The duo also collaborated with vocal artist Didi Bruckmayer on the track Tremble. Music Box is a conceptual piece: Under the direction of Richard Eigner, 20 people simultaneously turn the levers of their music boxes: Melodies of musical history blend into a sparkling confusion of sound. With their interpretation of In Every Dream Home A Heartache, Ritornell finally present their very own version of a Roxy Music song, albeit with a twist: the guitars from the original have been replaced by a string trio."